The OE driver side front sway bar end links in the Ford Super Duty have been known to fail prematurely if it's been used in severe or off-road settings. The cross axis joint design acts as a mini socket rotating in plastic bearings. The socket becomes worn and loose which causes a clunking noise and other issues. Our team at DST knows how frustrating this can be so we have found an answer for you: Moog Problem Solver K80274. This Moog Problem Solver with powdered metal bearings to provide the most durable wear surface available. 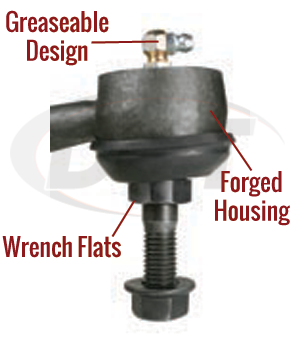 The forged housing provides superior strength in severe duty environments. 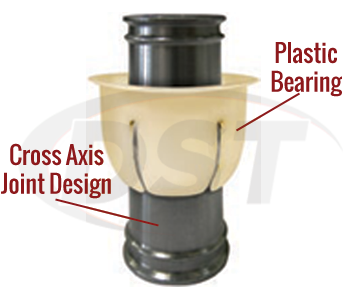 A greaseable design allows for fresh lubrication to reach the bearing surfaces while flushing out contaminants. Premium polychloroprene boots resist tearing and splitting. Moog added wrench flats at the base of the stud to allow for a positive hold and use of the sockets-leading to a quick and easy installation. To order your K80274 for the driver side of your Super Duty, please call DST's customer service or click the live chat button. 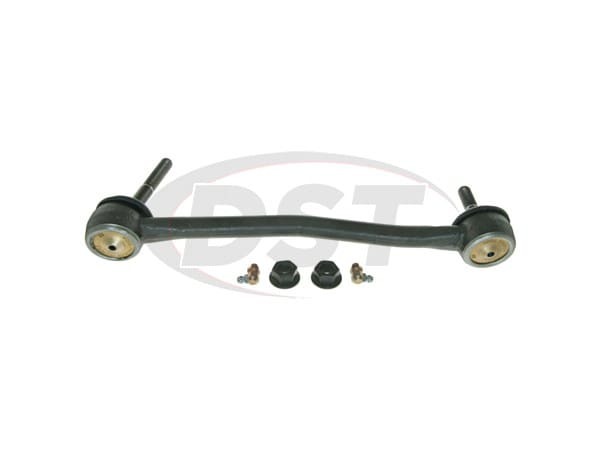 If you are looking for the passenger side front sway bar end link, you'll need K80273. Quality parts , sturdier then stock parts. Great product, easy to install !! Will part number k80274 still work on my Ford f250 if I have a lift? Moog parts are built to oem specs and are not guaranteed to fit any vehicle with a lift.